In today’s evolving aesthetic field of medicine there are various aesthetic procedures varying from lasers/botox/fillers and skin needling. However, the most revolutionary and latest technique that provides desired results, consumes less time and money is the one most sorted for. La Skinnovita offers Aureate – Series of Aesthetic Procedures. One of the only few centres in the world to be equipped with this unique technology,At La Skinnovita we understand the requirements of the patients and we are the first clinic in India to offer non-invasive procedure which unleashes in Skincare Technology. The treatment targets all layers of the skin in one procedure to help you be more perfect than ever while saving time and money. A totally non invasive treatment that treats the deeper layer of the skin to improve the appearance of lines and wrinkles on the décolletage. This collagen boosting technique is time proven to provide wonderful results. 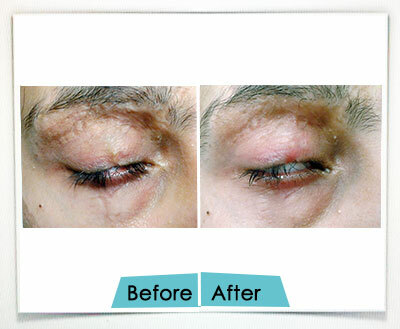 This treatment is popular today in the widely accepted Ultherapy. Fractional radio frequency, the technology behind the famous thermage treatment, is known for its natural looking outcomes with the use of a particular set of radiofrequency energy on the upper skin surface to create a lasting effect on the skin. The treatment is effective on the face, eye and skin. It is a unique technology that delivers radiofrequency energy to the inner tissues of the skin with the help of a compound number of insulated needles that enters the surface without damaging the epidermis. This technique can be used to target particular layer of the skin to give an instant boost to collagen production. Why La Skinnovita and Aureate? Benefits of Thermage, Ultherapy and Radiofrequency Microneedling in a Single Procedure. Extremely Safe and Exceptional Results. The skin that is aged usually droops and develops wrinkles on them. Sagging face can be a concern for both men and women. The severity of the problem varies from person to person depending upon the skin type, age, environmental factors, weight and genetic tendency. Nephthy Rejuvé™ is a revolutionary, no downtime, triple facelift treatment, which uses the powerful, but gentle ultrasound, focused radiofrequency and fractionalized microneedling radiofrequency. 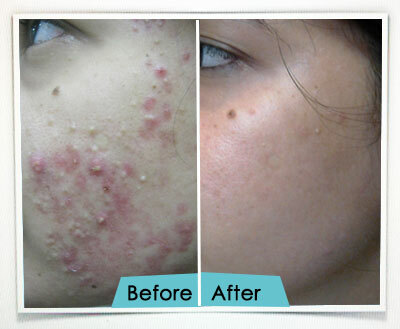 This treatment mainly comprises of three techniques which works from superficial to deeper layer of the skin. It is a non-surgical face lift and is a lunch time procedure. Nephthy Rejuvé™ is a new technique to re-contour the sagging face by using powerful, but gentle ultrasound, focused radiofrequency and fractionalized micro needling radiofrequency. All these three combine together to lift the skin and the fibro muscular layer that is present under the fat layer known as SMAS. This is a no downtime and less invasive treatment that is effective and acceptable treatment for all those patients who need an effective treatment for lifting their skin. Along with all this it is very necessary to take care of your diet so that you don’t become obese. The technology, utilized in the popularly known as Ultherapy, targets the deeper layers of the skin promoting the growth of collagen. The warm pulses of focused ultrasound are delivered deep under the skin causing the SMAS layer to contract and at the same time the gentle heat also initiates a wound healing process in which your skin produces its own fresh new collagen making skin firmer. This technology uses the focused RF energy to heat collagen rich layers of the skin. This technology works to remodel the existing collagen and simultaneously promote new collagen production. The technology, also used in thermage treatment can improve the texture and smoothness of the skin around the face and neck. This technology delivers RF energy to targeted 2mm deep under the skin through insulated needles without damaging the epidermis. It is particularly useful to promote collage production in these inner layers of the skin that can improve the textural abnormalities like fine lines, wrinkles, open pores and causes smoothness of the skin. With the increasing age, the cheeks tissue droops and thus makes the cheekbone more visible. This gives a hollow look around the eyes. The Nephthy Rejuve treatment is used to lift the cheek tissue and gives a youthful facial contour. 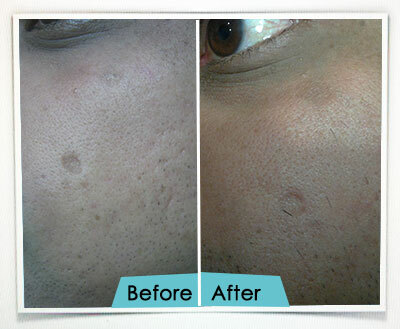 Dr. Anuj Pall performs non-surgical cheek lift using dermal fillers and fractional laser. In order to improve your neckline it is essential to analyse the soft tissue and anatomy of the midface. Nephthys Rejuvé is a customized treatment plan which is developed and followed according to the treatment needs of patients. To know more about the cost and the treatment you can call/mail us for the appointment. Wosyet Vitál™ Scar Reduction is the latest in scar reduction treatment that works on the revolutionary radiofrequency microneedling with the use of ingenious insulated needles. The treatment is non-ablative and targets the dermis of the skin that is 2mm deep without affecting the outer layer. The insulated needles delivers powerful RF energy to these targeted layers to promote the production of new collagen in the pores and scars within the skin. The treatment is proven to be the most effective for reduction of scars like acne scars, surgical scars , chicken pox scars etc. Wosyet Vitál™ Scar Reduction works on the principle of targeted RF energy to promote smoothness and texture correction of the skin through collagen production. The technology uses specially designed set of insulated needles where 0.3 mm of the tip is non-insulated. These needles reach the dermis layer of the skin without causing any abrasion on the epidermis. The tip of the needles deliver RF energy to the collagen rich dermis and causes contraction of existing collagen leading to texture improvement in the skin. It also promotes the production of new collagen which leads to healing process and improvement in the smoothness of the skin. The combined effect is proven to be highly effective. 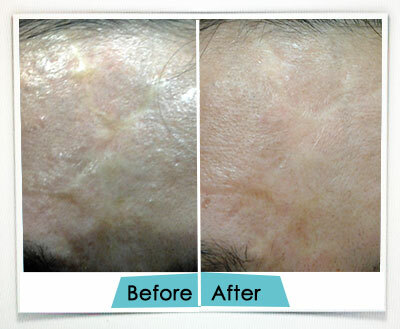 What indications does Wosyet Vitál™ Scar Reduction has? 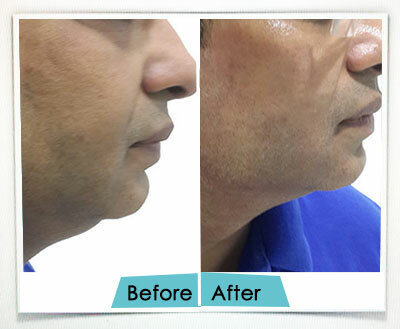 Sphinx Double Chin Correction is a comprehensive treatment for double chin correction that utilizes powerful Radiofrequency and HIFU technology to remove unwanted fat and loose skin around the chin. The treatment is non-invasive and has no downtime. It is appropriate for people who do not wish to go under the knife but seek quick and effective correction of double chin. Even though double chin is more common in overweight people. However, people who are active in sports and physical exercise may also get it. It all depends on the structure of the jaw bone, the area where the body deposits the fats and the amount of loose skin under the chin. The stubborn fat in this region is hard to remove and physical activity/exercise does not bring much improvement in it. To have a double chin can make people look older than their actual age. This also distracts mind of the people and reduces their confidence in their appearance. The fat under the chin is stubborn and usually do not go away with diet restrictions and exercises. The best treatment to reduce the double chin depends upon the condition of the skin and the reason behind appearance of double chin. 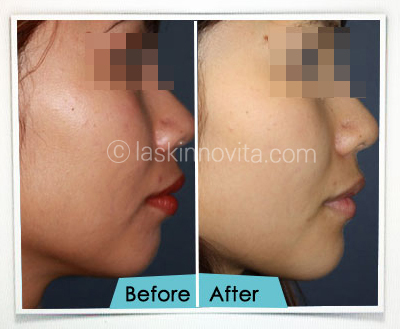 At La Skinnovita, we combine radiofrequency with HIFU to remove the unwanted fat around the chin. HIFU reaches the deep layers of the skin and heats up the collagen that results in contraction of existing collagen. It also targets on the fat layer of the skin and thus leads to restructuring of body fats. Radio frequency gives RF energy within the skin without damaging the outer layer of the skin. This helps in skin rejuvenation and lifts the skin that is needed to reduce the double chin. The treatment is FDA approved and starts showing results right after the first session. HIFU technology is the most advanced technology that reaches deep within the skin to layers below the depth of 4.5 mm through ultrasound waves that heat the collagen leading to contraction of existing collagen and initiation of body’s natural healing process. It also targets the stubborn fat layer within the skin leading to restructuring of the body fats. Grid Radiofrequency delivers RF energy within the skin without damaging the outer layer of the skin. This stimulates collagen production which rejuvenates the skin and has an immediate lifting effect that is needed for double chin correction. 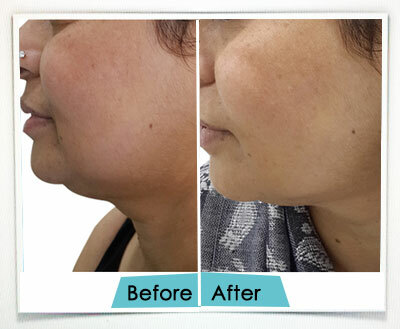 Sphinx treatment combines the technology behind the popular Thermage and Ultherapy to create a skin tightening effect on the chin. The treatment is FDA approved and starts showing results right after the first session. 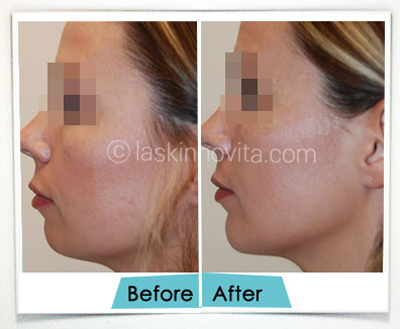 Say goodbye to your double chin and say hello to the beautiful you at La Skinnovita! 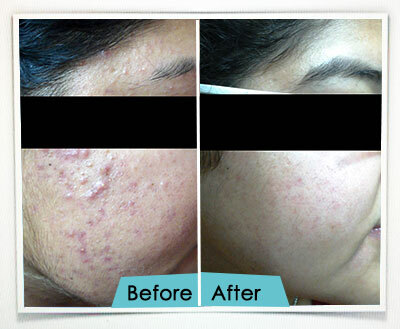 We are proud to be the leading Dermatology, Lasers & Hair Treatment Centre in Gurgaon. For additional information about double chin reduction and it’s cost, kindly contact our office today.